London Mayor Sadiq Khan has called on government for a national diesel scrappage scheme for older vehicles to help combat air pollution within the capital with incentives to encourage the uptake of electric and hybrid vehicles. She added: “Most of the emission problems in London would be fixed if they looked at the black cabs and buses. There’s positive changes happening at the moment, but then there’s no controls over any of the Uber cabs so you could be in a high emission Uber car and have none of the controls that the black cabs are having to conform to”. Williamson also questions where the budget for the £500m project will come from with around 50 percent of diesel vehicles representing the UK car parc. In a recent interview with The Guardian, Sadiq Khan said. “The toxic state of our air leaves us with no choice but to rid our city of the most polluting diesel vehicles. It is shocking that nearly half of new car sales in the UK are still diesel vehicles and the tax system still incentivises motorists to buy these polluting cars”. The Mayor also announced that he would ‘not rule out’ banning diesel vehicles from London altogether if the high levels of Nitrogen Oxide are not heavily reduced. 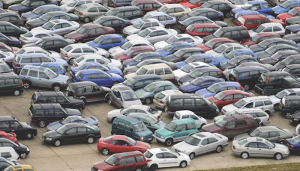 If the scrappage scheme goes nationwide, Williamson said the Federation would consult with its members. She concluded: “In fairness, the government has set out quite a robust programme for electric vehicles which are clearly how they see the future. There’s no doubt that hybrids are the way to go but there’s still some way to go with technology yet”.